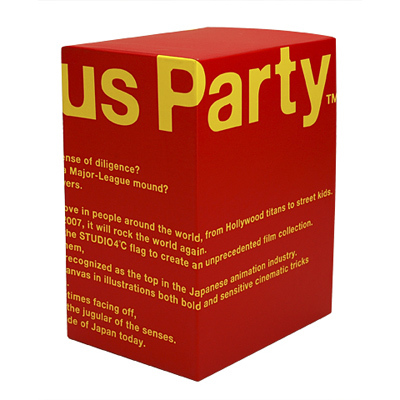 ・Limited DVD for the BOX. Making video of production studio and dubbing of “Genius Party” and “Genius Party Beyond” in addition to cast interviews. ・Limited DVD for the BOX. Director talks. Don’t miss to watch conversation between CEO of top animation studios in Japan! ・Creator interviews. You will get to know how “Genius Party” is created via interviews of so many creators such as director, animation director, art director, key animator, in-betweener, CGI director, color director, DIP artist, editor, sound editor, recorder, production assistant, music producer, and producer. 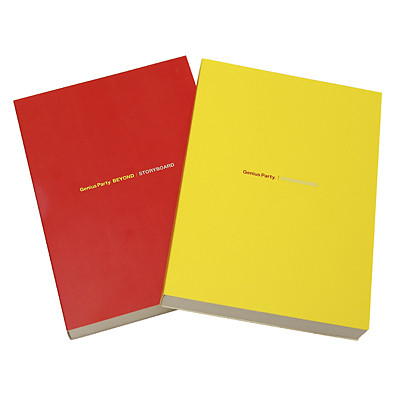 ・590 pages！All the storyboards of the 7 titles are printed. Director memo is included as bonus! ・544 pages！All the storyboards of the 5 titles are printed. Director memo is included as bonus! 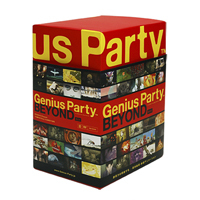 【NOTE】 The first movie “Genius Party”(2 Discs: Original + Bonus) is not included in the BOX. You can insert the first movie (2 Discs: Original + Bonus) to the BOX! 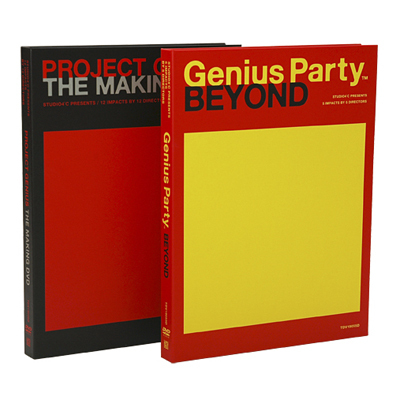 “Genius Party Beyond” 2 Discs (Original + Bonus) set is also available!